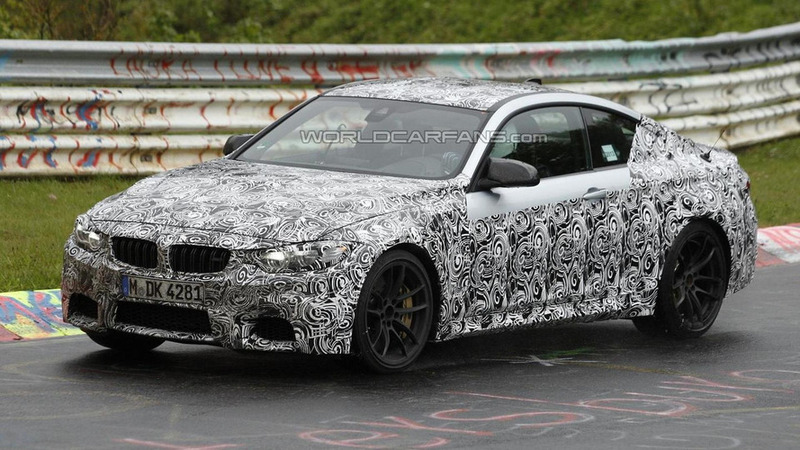 BMW has been relatively quiet about the 2014 M4 Coupe, but their silence has ended as BMW UK Project Manager Matt Collins has revealed some new details about the upcoming model. Speaking to Top Gear, Collins said people need to stop complaining about the name change and just deal with it. As he explained, "There are a lot of things that people have had to get used to, for example, going from naturally aspirated to turbocharged engines." He added, "I think the essence of what M stands for - high performance motoring - will always be there, even if the individual components change." Besides tell fans 'tough luck,' Collins confirmed the M4 will focus on "delivering performance through improved used of materials" rather than "simply trying to make the engine more powerful." This naturally raises questions about a CSL variant to which Collins responded "There are no plans, at the moment, to build a lightweight CSL version of the M4, but there weren't any plans to do the last generation CSL either." Collins declined to go into specifics but previous reports have indicated the model will be powered by a twin-turbo 3.0-liter six-cylinder engine that develops up to 450 bhp (335 kW) and 405 lb-ft (550 Nm) of torque.